Custom Tile & Interiors has an extensive collection of references - media, commercial, and residential. You are encouraged to review all categories and make contact with the individual parties for additional information. Click here for additional residential references. 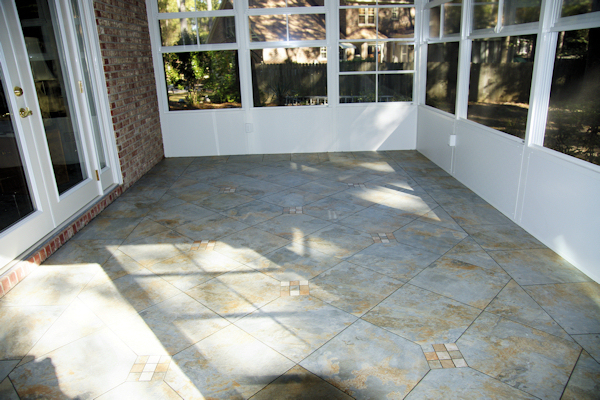 Project: November 2010 - Clean and level porch concrete slab, lay multi-pattern tile. "The project was completed in 2 and 1/2 days professionally, expertly, and with excellent supervision. I am thoroughly pleased with the work accomplished and with the finished result." Click here for additional commercial references. "Browser must accept scripts in order to view media files."